Red tights cannot fail but bring the heat to any of your outfits. 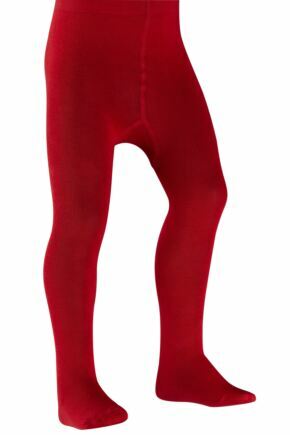 Red is available in most styles of tight, from fishnet to full opaque. It’s one of the main colours in pattern tights like tartan checks, and a popular alternate choice for creating stunning backseams too. Rich burgundy tights make a useful everyday shade - ideal for ribbed tights - while brighter red tights are often used as a statement colour, with sheers often proving as popular as semi and opaque styles.